Ever wondered WHAT PLUG might be right for you? 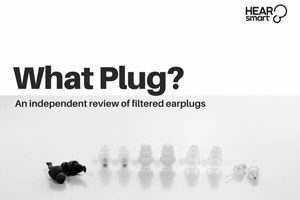 To help you find the right earplug for you, we’ve teamed up with Choice to review over 20 filtered earplugs. Maybe you are thinking about investing in some new ones? or just want to upgrade your current pair? Have a look around and compare plugs on heaps of different features. One thing we know from our testing (both in the lab and the real world) is that earplug choice is personal – what suits one person won’t suit everyone. Our ear canals come in different shapes and sizes, our noise-reduction needs vary, some people want to stand out, others prefer to be discreet. The filtered earplugs we’ve looked at in WHAT PLUG? are specially designed for listening to music and they’re an affordable option when it comes to protecting your hearing while enjoying your music. Most are readily available in Australia, but others you might have to track down from overseas. Foam earplugs – cheap, disposable, brightly coloured, highly visible, designed for industrial use and not particularly comfortable. Expect a significant drop in the sound level; don’t expect great sound quality. Custom earplugs – these will set you back around $200-$300 but can be worn for years (until you lose one!). They are very discreet, are moulded to your ears and usually come with a range of interchangeable filters so you can choose an attenuation level that’s right for you. Mouldable earplugs – made of silicon or wax. They come in small round balls that you knead and soften before pressing into your ear. They’re often marketed for swimming or sleeping, but they can also be used while you’re listening to music. It all depends on whether they work for you. Find them at pharmacies or online, brands include Mack’s Pillow soft Silicone Putty Ear Plugs and Earjobs Comfy Wax. Ear muffs – don’t laugh – we know some musicians who wear them during rehearsal! Most often you’ll find these in the garden, out in the shed or at the shooting range, they provide lots of attenuation so they’re suited to noisy power tools, garden equipment and firearms. They’re available at hardware stores and shooting suppliers. For kids – some companies make smaller earplugs especially for children. For really small people, consider baby ear muffs, which have increased in popularity in recent times. Locally available brands include: BabyBanz; Em’s4Kids; Peltor; and Silenta. 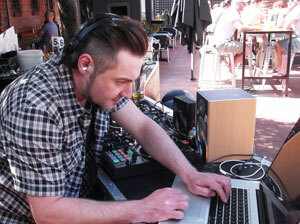 Do DJs and producers wear earplugs? Fader mag got nine DJs and producers to talk about the earplugs they rate. When you’re researching earplugs, you’ll find that many products come with an indication of the attenuation level (SLC80; SNR; or NRR), which can be anywhere up to 36 dB. These figures are all calculated according to slightly different measurement procedures but the important thing to remember is that the higher the number the more attenuation (or noise reduction) the earplugs provide. When listening to music, many people prefer a moderate attenuation level. However, some people might need or want more or less noise reduction. It’s also important to remember that the level of attenuation provided by a pair of earplugs will vary depending on the shape and size of your ears, how well the earplugs fit you, how deeply they’re inserted into the ear canal and so on. The actual attenuation you receive from a particular earplug may be more or less than the attenuation figures provided by the manufacturer.